“Orbea's improvement has always been linked to competition. Since the surname came to form part of the universe of bicycles, the fire of competition has demanded constant improvement, and at the same time it has meant the perfect showcase to demonstrate that Orbea works with the demands of the best.” (Excerpt from Orbea's 175th Anniversary book). That is the way it is, the way it will be and how it has been for decades. The truth is that at Orbea, we have taken the courage of competition to heart in the development of our products, from the very moment we entered the world of cycling. As far back as the late 1920s, the Real Unión de Irún squad used our bikes, and in the 1930s, we collaborated with one of the stars of Spanish cycling of that era, Mariano Cañardó. After the Spanish Civil War, the company continued to sponsor individual athletes and was present in the Tour of Spain, the Bicicleta Eibarresa and the Arrate Climb... until it began to sponsor teams, such as Orbea Danena, our first amateur team that later made the move up to the professional ranks, where the young riders Peio Ruiz Cabestany and Jokin Múgica excelled. A new step forward in the history of Orbea was made with the signing of one of the most promising young athletes of the day, Pedro Delgado, who won important stage victories in both the Tour of Spain and the Tour of France. 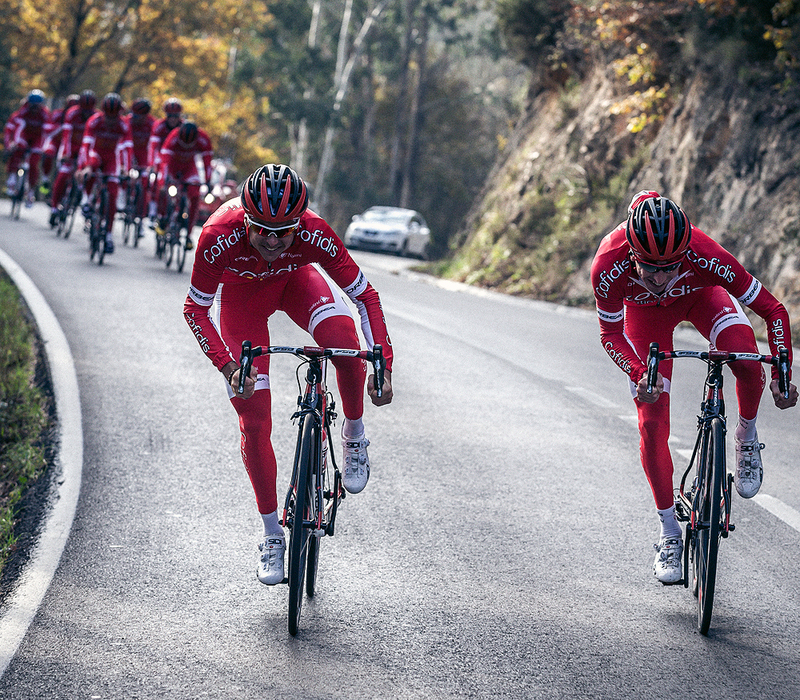 We were the team to beat in many races and were coming closer and closer to our ambition to be even greater. Under the Caja Rural name, an important milestone was reached when Marino Lejarreta participated in all three great tours in the same year. It was during the 1990s that the Euskadi Foundation emerged with the goal of becoming the leading Basque team on the international squad, choosing our bicycles to accomplish this. 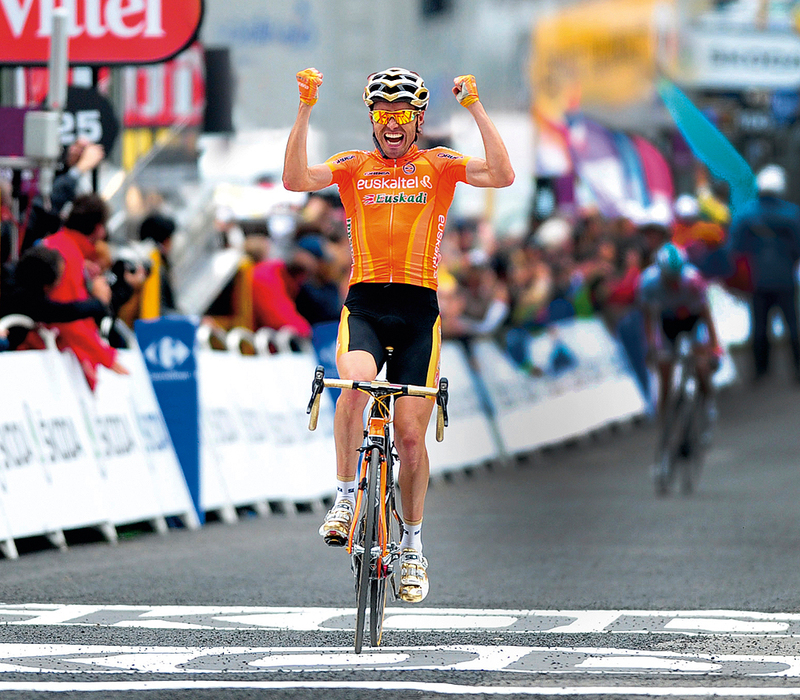 Just like in the previous step up to the professional level with Euskaltel Euskadi. The results started to pour in... and they were increasingly more spectacular all the time. Impossible goals began to be reached. It was in the early days of the new millennium that we entered our golden age, reaping the benefits of our commitment to up‐and‐coming cyclists and competing shoulder to shoulder with the best. We were also cheered on to victory by an unrivaled group of fans, who came to be known as the orange tide. The area of training was anything but neglected, thanks to Orbea Continental. We were also impacted by the mountain bike explosion. First, with an in‐house team formed by Roberto Lezaún and Jokin Múgica, among others, that gradually grew in size and eventually became the Orbea Racing Team. We made up a dream squad of riders with great international prestige, including Julien Absalon as the most visible leader. The team grew to be the best in the world in its specialty. This was one of the greatest moments in Orbea's history. 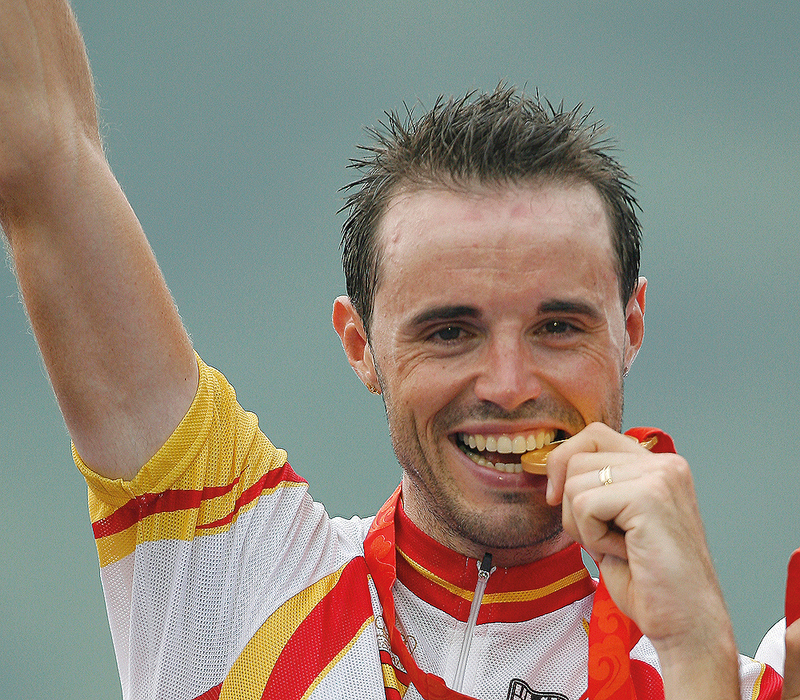 Euskaltel Euskadi and the Orbea Racing Team saw two of their members, Samuel Sánchez and Julien Absalon, come away with gold medals at the 2008 Olympics. Absalon was accompanied on the podium by his teammate, Jean‐Christophe Péraud. We continued to compete in road races (Team Cofidis, Visit Dallas DNA, Fundación Euskadi, Bizkaia‐Durango, Michela Fanini, Euskadi Basque Country Murias Taldea, Ampo and Seguros Bilbao), MTB competitions (Luna Pro Team and GAES Orbea Enduro Crew) and triathlons (with the Ordu bike becoming the fastest in the cycling stage of this sport). We are enjoying the present and fanning the flames of the future. Because we were, are and will continue to be fire.